Cunard Line, already known for its award-winning Insights enrichment program in which expert and celebrity speakers join voyages to inform and entertain guests, has created fresh programming for 2017 and 2018. Here are 10 special event cruises you’ll find aboard the line’s three ships — Queen Mary 2, Queen Victoria, and Queen Elizabeth. Queen Victoria’s June 8–22, 2017, voyage features shore excursions to the gardens and flower markets of the Canary Islands including stops in Tenerife and Lanzarote to glimpse into the world of visionary artist César Manrique. Also included is an overnight stay in the floral paradise of Madeira with an evening dinner at Madeira’s Quinta Jardinsdo Lago botanical garden hotel, plus workshops designed to enhance guests’ appreciation of the floral arts. Queen Elizabeth will sail the British Isles, July 1–14, 2017, to explore the artistic side of ports including Rotterdam, Newhaven, and Liverpool, in the company of actor Robert Powell and Louise West, Trustee of the Charles Dickens Museum and Former Senior Curator of the Jane Austen House. Book Club get-togethers, Cunard Insights talks, and events hosted by Clarendon Fine Art will allow guests to gain a deeper understanding of the life and works of popular authors like Jane Austen, Oscar Wilde, James Joyce, Beatrix Potter, and Victor Hugo. Fashion icon Iris Apfel, known for her individual style and joyful flair, will be featured on Cunard’s second annual Transatlantic Fashion Week, August 31, 2017. A glamorous array of fashion shows, exhibitions, lectures, and hosted dinners will be featured on this 2017 Queen Mary 2 voyage including guests Julien Macdonald, Colin McDowell, Gail Sackloff, and more. Colin McDowell, Hal Rubenstein, Richard Young, Hilary Alexander, and Gail Sackloff have already been announced for the third annual Transatlantic Fashion Week Crossing in September 2018. To celebrate the United Nations International World Space Week, Queen Mary 2’s October 6, 2017, crossing will feature top space experts including astronaut, scientist, and former shuttle pilot, Dr. Jeffrey Hoffman; Charles Barclay, of the Royal Astronomical Society; Stephen Attenborough, Commercial Director of Virgin Galactic; and Ken Taggart, NASA historian. 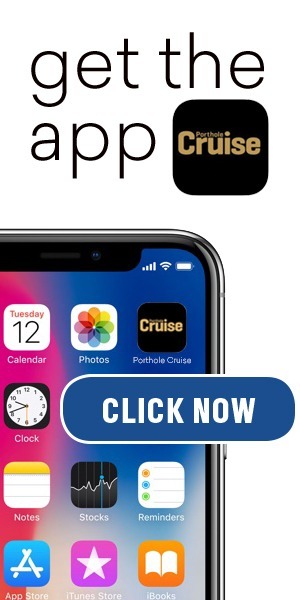 On December 8, 2017, The New York Times crossword puzzle editors will sail on a Queen Mary 2’s Transatlantic Crossing in celebration of the crossword’s 75th anniversary. 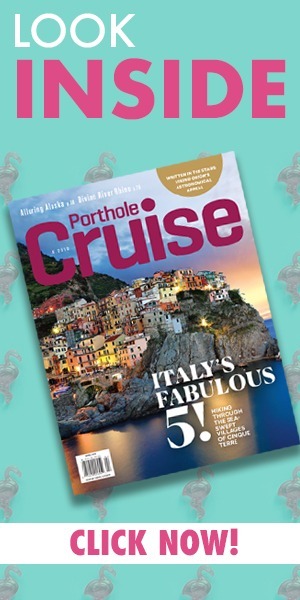 Daily game sessions, lectures, and crossword-themed activities will fill this voyage for problem-solving passengers. 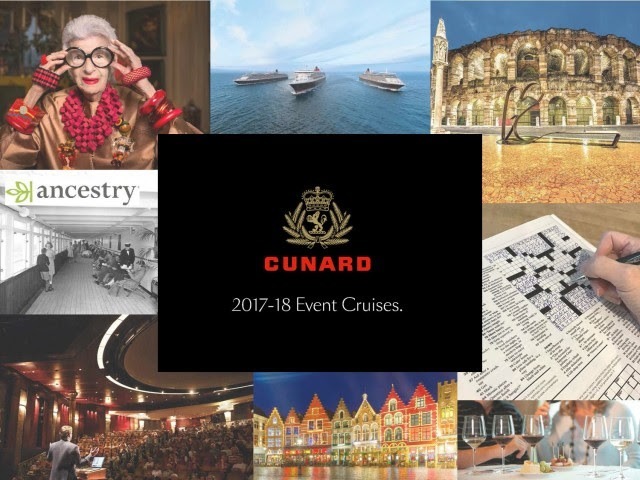 Cunard has partnered with The New York Times to offer engaging speakers from this national news source on six Eastbound Transatlantic Crossings on Queen Mary 2 from May through December in 2017. Topics will include national security, climate change, economics, sports, politics, and more. Queen Victoria’s first dedicated Voyage du Vin, June 1–8, 2018, will introduce guests to some of Europe’s finest wine and port destinations such as Oporto, Lisbon, and Vigo. This voyage will also include tastings from Cunard’s wine list, which features more than 400 wines from 23 different countries. Passengers will have the opportunity to join the new Cunard Wine Academy and take the Wines and Spirits Education Trust Level 1. The voyage will feature a bespoke series of dinners, tastings, and master classes with leading Iberian wine producers and experts. 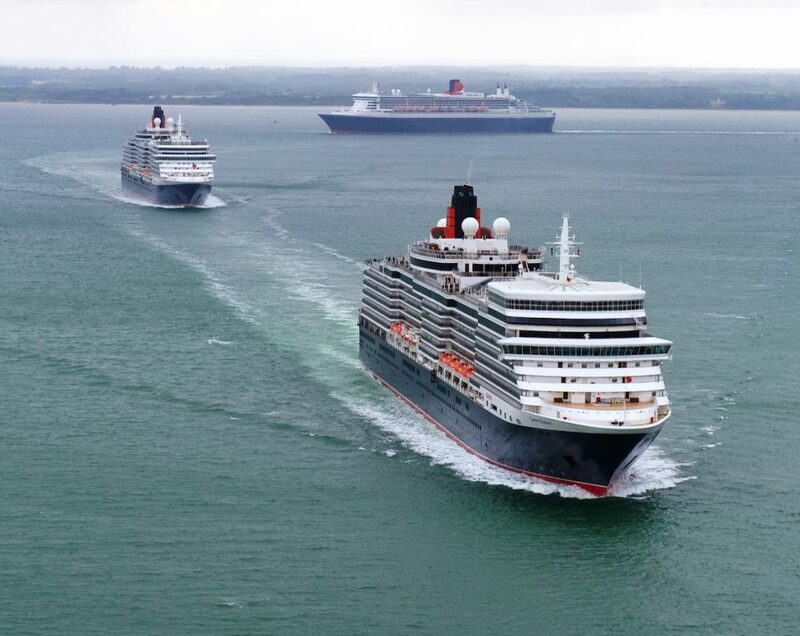 For the first time ever Cunard has collaborated with Ancestry.com, the largest online family history resource in the world, to offer guests the opportunity to trace their family trees on a Queen Mary 2 Transatlantic Crossing. Ancestry experts will be on board the November 4, 2018, sailing to help guests follow their family’s journeys, learn about family history, sift through records, and discover their ethnic origins with AncestryDNA. One in five immigrants came to the United States on a Cunard liner so this collaboration is a perfect fit for passengers who want to trace the steps of their ancestors. A unique opportunity to join cartoonists as they host lectures and workshops aboard five select 2018 Eastbound Transatlantic Crossings.